Each model has to pass a rigorous 130-point test, history investigation and thorough inspection before we issue Carfax certification. 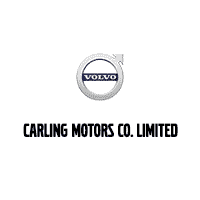 6 YEAR / 160K KILOMETER LIMITED WARRANTY The factory-backed warranty fully covers every part of your Certified Pre-Owned Volvo that is not specifically excluded, including the replacement or repair of thousands of components. We also include free roadside assistance and a zero deductible for all warranty visits. You also have the option to add up to 4 years/80,000 km of extra coverage with Volvo Increased Protection Mechanical Breakdown Protection (MBP). All pre-owned vehicles receive the latest software upgrades, and Volvo-approved checks to certify they meet our safety, performance, and appearance standards. **Calculated from the original in-service date and zero kilometres. Actual rating will vary with options, driving conditions, habits and vehicle condition. These statistics were taken from the Current Fuel Consumption Guide data published by Natural Resources Canada, and were reproduced with the permission of the Minister of Public Works and Government Services Canada.